Week 8 – Here’s a secret weapon for handling change. I’ll be in Denver, CO, for the “I Can Do It” conference at the end of April and I hope to see you there! Check out all the details here. Here’s a secret weapon for handling change. I’m spending the afternoon shoveling (my new spiritual practice) and when I searched for a blog to resend this week, I found a letter I’d written to myself during a time of change and uncertainty. Change is uncomfortable and scary for all of us. And it’s especially hard to release “the old” when we haven’t met “the new” yet. But let go we must if we want a life that’s aligned with the integrity of who we are as we grow. 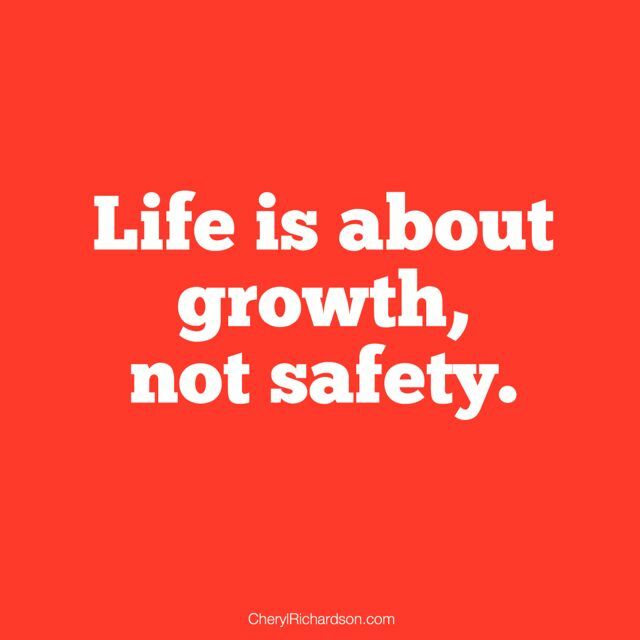 Life is about growth, not safety. So, just in case you need a little courage and comfort with a change in your life, feel free to use this letter for yourself –you’re welcome to share it with someone you care about who needs a little courage, too. Take a deep breath. Big change is on the way. It’s all good, even though it may not feel like it right now. You have an intuitive sense that something wonderful is on the way but you mostly feel nervous. And the more nervous you feel, the more the things you’ve outgrown start to become attractive again. They tempt you to hang on to what’s familiar. The anxious, fearful voices in your head get louder. You question yourself – your thinking, your motives, and your decision-making ability. Fortunately, you also feel a growing sense of excitement and relief in knowing that you’re about to set yourself free from an outdated prison. But the relief and excitement aren’t strong enough yet. So you teeter on the edge between what you know now and what you secretly desire. Ride the edge of uncertainty for a while. Become cozy and comfortable with self-doubt. Fall in love with ambiguity and chance. The edge is a place where trailblazers live – brave men and women who are incapable of settling for less. Otherwise you’ll end up with good instead of great. It’s time to be patient. You can trust Life. And most of all, be gentle with yourself as you wait for something solid and true and soulful to reach out and grab you. And that’s when the next adventure begins . Here’s a sweet little video that’s sure to warm your . You can watch it here.